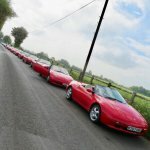 Lotus Elan Central • View topic - Elanscan is no more! Just posted this on the computer forum then saw an Elanscan section..doh. Just been trying to find somewhere to download a copy, there doesn't appear to be anywhere to get it any more. Re: Elanscan is no more! Having to go to a web archive isn't the best situation but at least it's downloadable from there! Perhaps Alan could be persuaded to re-upload the pages to the Wiki? Good find RonR. Thank you. My website had ElanScan as well… but that was TalkTalk. There is also a problem with the Wiki and I can't even log in or get a password reset. And there is still a problem with the main site but, because of the way it was originally constructed, every time there is a PHP update, the custom features have to be stitched in by hand. Usually the updates are trivial, but this one is causing major problems and the IT bods are stupidly busy with the day jobs. PS: Wallzaveerz, put your location in your profile and maybe a kind soul nearby could help. PPS: TalkTalk did in my website also. As an Ex-IT bod myself I can appreciate how things can get amazingly busy very quickly, and also the difficulty in adding features to other people's code! Last edited by Brit-Car-Nut on Sat 13.10.2018, 19:30, edited 1 time in total. Downloaded and saved. Car came with a lead so will go and try it out now. Location added to my profile. I'm in sunny old Wigan. Ok so i'm plugged in but programme says comm port inactive? my lead only has 2 wires is this right? 2 wires is right. Set a different com port & set latency to 1. Ensure ignition is on. I’m sure Geoff will be along to correct me. I haven't got any drivers installed on the lap top for this application, could that be the issue? Tried the lead in every USB port on the lap top. Sorry if this is like trying to teach algebra to a breeze block. Have you read the wiki entry? John_W wrote: Have you read the wiki entry? I have now, just trying to set up the lap top as required. Unfortunately the wiki is for Windows XP. I'm running Windows 10, like playing Wheres Wally trying to find the relevent settings. Sorry, you need help from somebody who doesn’t believe that Windows is the spawn of the Devil. Well tomorrow morning will mostly be spent putting a brick in a sock and repeatedly hitting a lap top and a 92 Elan SE with it until I have a pile of worthless broken plastic. I couldn't get it to work on my old XP laptop. Just refused to download the drivers and all drivers I found were for newer os.